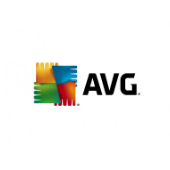 AVG is one of the world\'s most recognizable names in online threat protection with more than 200 million active users counting on our products and services every day for their online protection, performance, and privacy. Our technology is cutting-edge and lets people do safely all the things they love most: from surfing, emailing, and social networking to shopping, banking, and more. AVG\'s 2017 selection of products and services covers PCs, Macs, mobiles, and tablets.